Matchweek 2 in the UEFA Champions League finished with plenty of drama as Wednesday night's games threw up a ton of surprises and plenty of revitalization throughout. Both Manchester clubs came from a goal behind to win, while Cristiano Ronaldo scored his 500th career goal, and Paris trail-blazed past Shakhtar Donetsk. Here we run down all the action for Wednesday 30 September 2015. Manchester United came from a goal behind to pick up a massive victory at Old Trafford as Juan Mata provided a delightful assist and scored a penalty as the launch-pad for the Red Devils' run. Old Trafford was a vibrant cauldron majorly in favour of the hosts, although that wouldn't stop the travelling German fans from making themselves heard. Those Germans would seem even louder after just four minutes when the Theatre of Dreams turned into the Theatre of Nightmares for Louis van Gaal's side. Daniel Caligiuri was on the end of a quite marvellous move forward, as he cut into the right, and was fed by Max Kruse to complete the move by sweeping it past David de Gea. With that goal now the visitors were happy to sit back and wait for the counter. 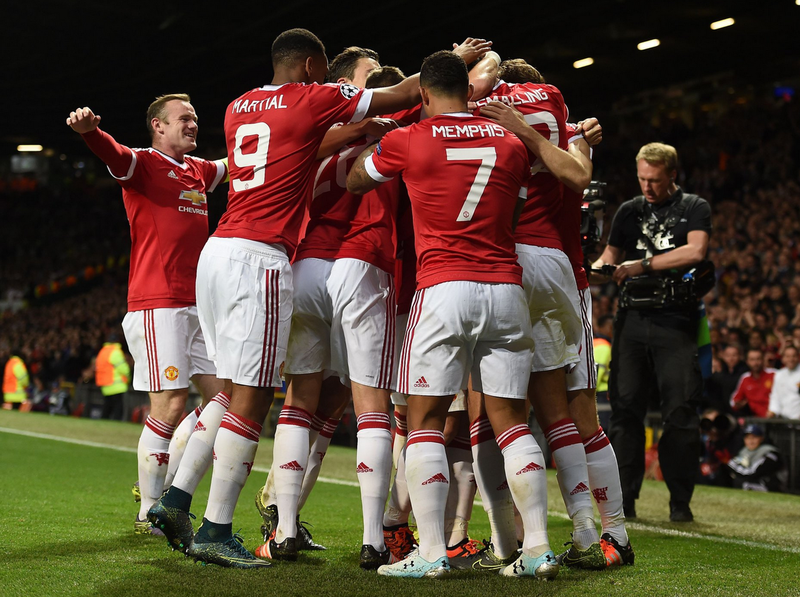 But, with the home fans spurring them on, Manchester United continued to provide optimism in their attacks. 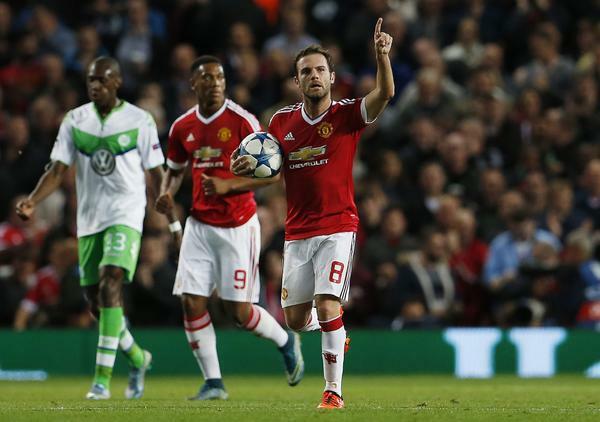 They would be rewarded for their persistence through an opportunity from the penalty spot, and Juan Mata kept ice-cool composure as he curled it to the left with style. And the Spaniard's influence on the game would not end there. After both sides were well-matched leading up to the half-time break and after, a demonstration of utter genius from their midfielder put the Red Devils in front.With the ball rising towards him, he half-volleyed it over the defenders with an intricate back heel, and Chris Smalling was through on goal to simply touch it past the keeper and send the Stretford End and the rest into a frenzy. Sergio Aguero scored from the spot in the 90th minute as Manchester City silenced Borussia Park in a fascinating group clash in Germany. There were plenty of chances early on at Borussia Park but none came greater than within the frantic period in the first half. Joe Hart made an excellent stop to deny Raffael from the penalty spot, and his huge kick found Aguero through on goal, but uncharacteristic of the Argentine, he dragged it wide and things remained goalless. It was the hosts who began to do much more of the attacking, and they soon got their deserved goal. Stindl swept it into the bottom corner, out of reach of the keeper and Monchengladbach now lead. That lead wouldn't even last 10 minutes though, as some chaotic defending from a corner, and perhaps even a wrong call by the extra official on the goalline would see the Citizens equalise. Demichelis got on to the end of a corner but it was stopped by Korb, although appearing to cross the line. It fell out to Otamendi who really put power behind it and it took a big deflection of Christensen to make it 1-1. But City weren't done there. Sergio Aguero caused trouble in the box and ended up winning a penalty. In the very last few moments of the match, he brushed the penalty to the bottom right corner to cruelly shut out the Germans but give the Premier League side a massive victory. Cristiano Ronaldo reached 500 career goals as Real Madrid defeated a tough Malmo in a trip to Sweden. Despite the clarity of Los Blancos' attacking talents, they were unable to breach Malmo early on, but when they did, Cristiano was the man to put them in front. The Portugese winger got on to the end of Isco's defence splitting pass and easily slotted it past the keeper to reach half a thousand career goals. Malmo didn't prove much of a threat themselves and the remainder of the game was played at a conservative pace, but the Spaniards threat remained present throughout the contest. In the 90th minute, Cristiano Ronaldo levelled Raul Gonzalez's all-time goalscoring record for Real Madrid as Carjaval and Vasquez set him up for an easy finish and number 323 for Real. 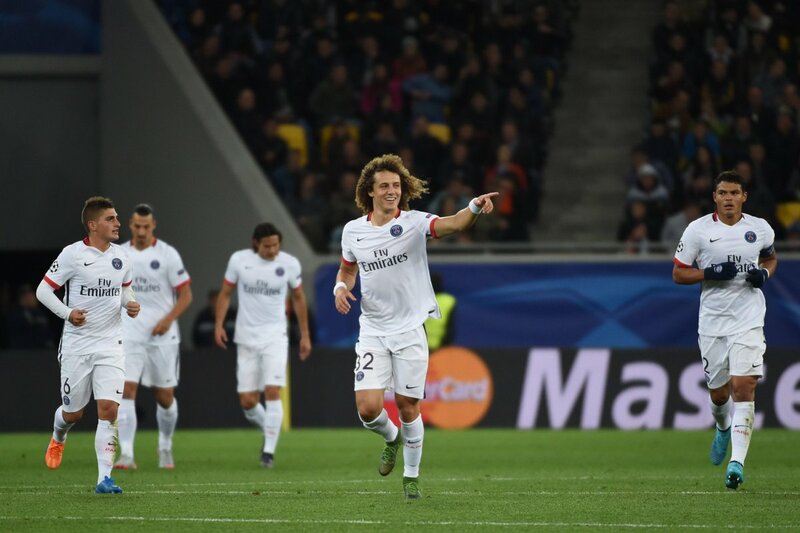 PSG continued their march to join Europe's elite as they brushed aside Shakhtar Donetsk in fine fashion. Paris looked to get the job done early in their trip to Ukraine and Serge Aurier made a good start to his Champions League career by bagging an early goal in his debut in the competition. The Ivorian rushed to meet Maxwell's cross and it was a routine header to put the French team in front. David Luiz then moved the Parisiens a step closer to wrapping it all up as he converted from a corner with plenty of fortune. Di Maria's cross found its way to the leaping Brazilian, and it bounced off his thigh and somehow went into goal. Shakhtar just did not match up well to the Ligue 1 Champions who seemed far too strong for them. In stoppage time, Zlatan Ibrahimovic combined with Pastore to break through on goal, and as he slotted it through it deflected of Srna, giving Paris their third and final goal, as they continued a breezing start to their campaign. Astana became the first team in Kazakhstan to earn a point in the Champions League after they rallied in a thriller in the confines of a rocking Astana Arena. It was only until the depths of the second half where they did begin to engage in a battle, since the moments prior were all in favour of the Turks. Bilal Kisa, who made his Champions League debut at the age of 32, created some space to let fly from 30 yards, out of reach from the keeper in the evening's early kick-off. Changed and revitalized following the break, the only thing stopping Astana from getting back into the game was an excellent goalkeeping effort from Fernando Muslera, but with just 12 minutes on the clock, he was finally beaten. Junior Kabananga made Semi Kaya pay for a slip, and his cross came off Hakan Balta and into goal, putting the hosts back in the game and tying it up. Just as they looked to close in on what would be a monumental draw, there would be another goal—this time going against them. Keeper Nenad Eric made a mess of Gumus' shot and the ball creeped over the line, an error which left Astana desolated, but they would not give up. Somehow, they fought back, and throwing it all at their opposition to get the result, Canas headed on to the ball when it was punched out by the keeper and found the net to spark jubilant and euphoric celebrations in Kazakhstan—an iconic moment in their footballing history. CSKA Moscow 3-2 PSV Eindhoven: CSKA made a perfect start as Ahmed Musa scored from close range within 7 minutes from a corner, and they would continue to roll past the Dutch who were out of their depth. Seydou Doumbia then finely headed Fernandes cross. He wasn't done there, because he added a wonderful penalty as he smashed it to the keeper's left which surely ended things. But when Doumbia had an opportunity to get the hat-trick, he missed out, and it gave leverage for PSV to get two goals back, but two goals is all it would be. Juventus 2-0 Sevilla: Juventus continued their march to emulate their European feats from last season as Alvaro Morata and Zaza scored to put the Italians over the line past Sevilla, despite the La Liga side really making things awkward at times for Allegri's men. Atletico Madrid 1-2 Benfica: Benfica did the unthinkable and stole an away win at the Vicente Calderon as Nicolas Gaitan's equaliser turned the tables on Atletico, allowing Guedes to find the deciding goal as he beat Oblak. So we've played two weeks of Champions League football and things are just getting better and better. It's good to have it back!